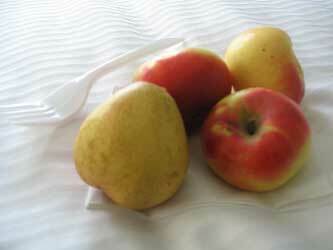 Apples – Crunchy, juicy apples are inexpensive and easy to carry with you. Their natural sugars, anti-oxidants, and fiber combine to energize you. Quinoa – A nutritional powerhouse favored by Inca warriors, quinoa is fluffy and light. It is a complete protein whose nutty taste works well with eggs, meats, beans, fish, and in salads. Cucumber – Cooling, stomach-soothing, and hydrating, cucumbers make a refreshing snack or side dish during summertime. My mom used to cut up cucumber wedges in my lunchbox in June. Cucumber water is divine. Lentils and Beans – Loaded with fiber, carbs, and proteins, beans and lentils are great energy foods. Bean sauces, soups, dips, and burritos are nice served hot or cold. Great for physical stamina! Green Grapes – Juicy and refreshing, grapes can cut through the brain fog that settles in around 99 degrees. They are naturally sweet and energizing! Raw spinach – Iron and folate-filled spinach is good for stamina and mood. Bananas – They help maintain good blood pressure and heart rhythms, and replace the much needed potassium that is lost due to sweating. The sugars and carbs in bananas digest easily. Celery – Gives you a dose of fiber and vitamins B & C. Celery also balances sodium levels. Hard-boiled eggs – Eat cold in the summertime to give your brain a jump start. Great protein source. Mushrooms – Packed with vitamin B, mushrooms are a terrific meat substitute either cooked or raw. Mushrooms also have an anti-depressant quality. Pineapple – Pineapple will probably show up on all of my food remedy lists. It’s a magical food. Bromelain and other nutrients in pineapples cleanse the body, loosen the joints, and aid in digestion. Add these foods to your summer grocery list. Look for any food with extra water, vitamins, or minerals. Locally raised vegetables, fruits, and eggs offer you greater nutrition and energy. In the summer, pick a few energy boosting snacks from this list to keep in your gym bag or at the office. I find I can work in the garden for hours longer when I power up with any of these 14. Write in and tell me what your favorite energy boosting summer foods are!